Hello Doodlebug Friends! 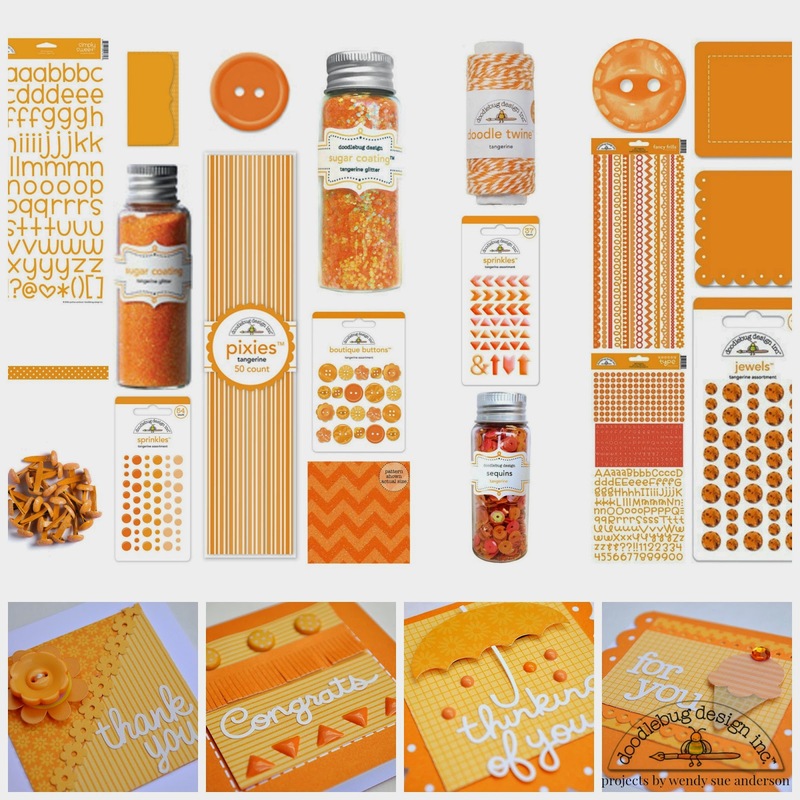 It's Wendy Sue here, hosting today's color challenge, which happens to be TANGERINE! 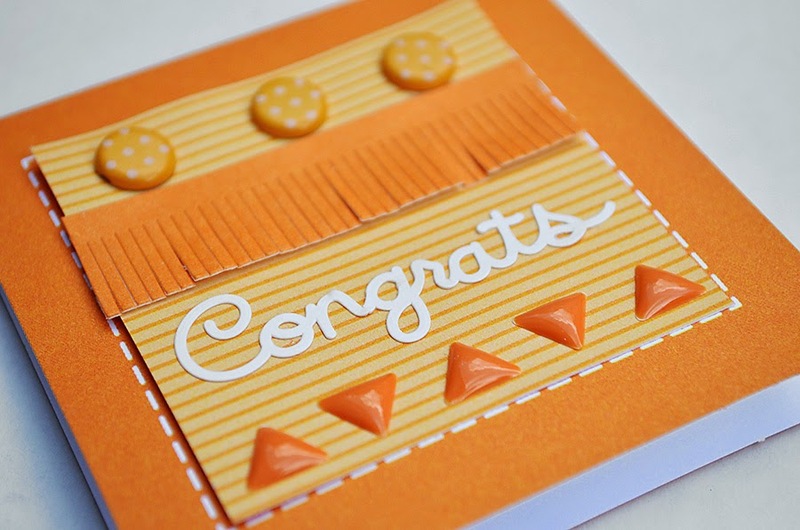 Tangerine is one of my favorite Doodlebug colors - I did a quick search about the color orange (tangerine's roots) and found out some interesting things...Did you know the color orange is associated with joy, sunshine, and the tropics. And orange represents enthusiasm, fascination, happiness, creativity, determination, attraction, success, encouragement, and stimulation. I love it - it's no wonder I've always felt like orange was a happy color!! I started with the sweet little 3x3 mini card bases from the "Create-A-Card" collection. I used papers from the Petite Prints line for each card as well. Each card also features a "Doodles" cardstock sticker sentiment. Then I added additional embellishments to each individual card. 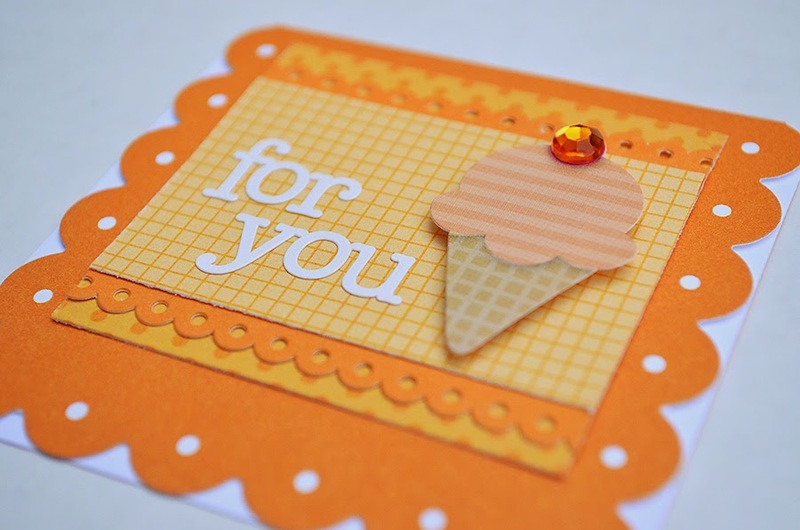 This card has an ice cream cone mini icon sticker from the Sugar Shoppe Collection. I tucked some paper frills behind the patterned paper and also added a tangerine jewel over the cherry on top! In addition to the main elements, I added paper frills, a Springtime Flower Icon Sticker, and a sweet flower shaped button to this card. This card has some paper frills, brads, and shaped sprinkles to make it unique! 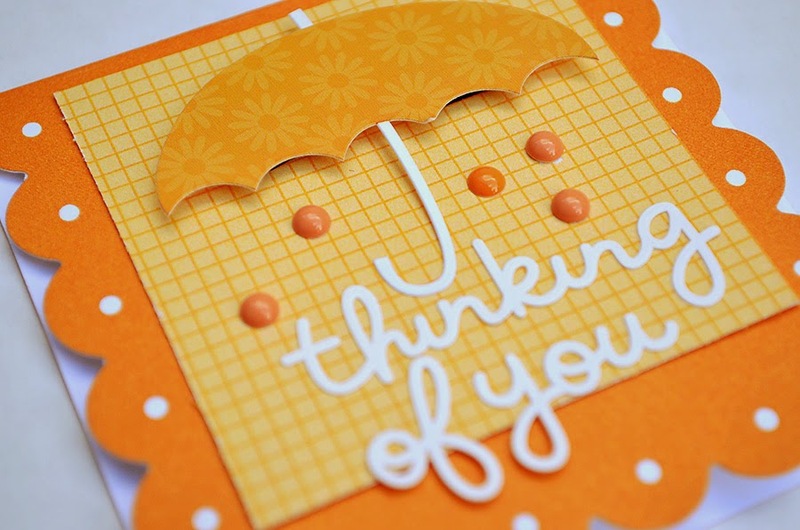 And last, but certainly not least, this little card has a sweet umbrella sticker from the Springtime collection and some little sprinkles for raindrops! No matter which Doodlebug color you choose, creating projects based on a single color is so much fun because of ALL of the options Doodlebug supplies give you! Hope you have a "Tangerine" Happy Day!! These are so bright & cheery Wendy Sue!!! 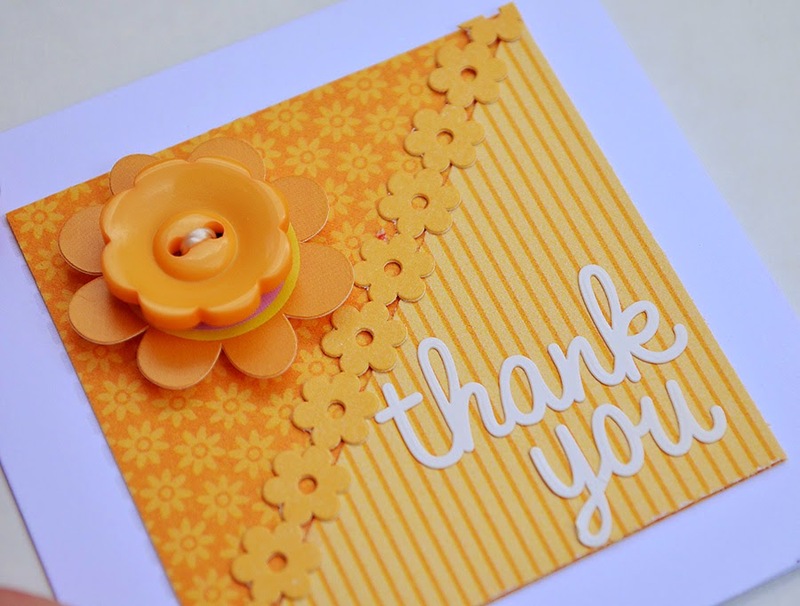 SWEET Tangerine cards Wendy Sue!!! These are all so sweet!!! Beautiful cards. I saw these on Facebook yesterday, but I had to pop by here and leave a comment too. These little cards are absolutely amazing and so different even though they are the same color!! Using various Doodlebug products to create them added to their variety!! Doodlebug colors and patterns offer so much for us to create with! !